The launch dates and times of the upcoming Mortal Kombat 11 closed beta have been revealed. It’s going to take place over the course of the last weekend of March, and will apparently feature more fighters than have been unveiled so far. Access to the beta will only be open to those that have pre-ordered the game, which is now standard practice, but no less annoying for it. When the MK11 closed beta will be happening for you will vary drastically depending on where you live. I mean, technically, it starts and ends everywhere at the same time, but that’s exactly what can be a bit confusing to some. Fortunately, the people behind the game have released a handy timetable for the beta to clear it up. So, without further ado, let’s dive into the launch and end dates and times of the Mortal Kombat 11 closed beta, shall we? In Asia and Oceania, it will start on March 28th at 02:00 AEDT, and end on April 1st at 17:59 AEDT. In Europe and the Middle East, it begins on March 27th at 16:00 CET, and ends April 1st at 08:59 CET. The exception from Europe is the United Kingdom, where the beta will begin on March 27th at 15:00 GMT and wrap up at 07:59 GMT on April 1st. Lastly, in the Americas, the closed beta will take off at 08:00 PST on March 27th and close at 23:59 PST. So, yeah, some of these times might feel a little weird for some people. However, if you look a little closer, it’s apparent that they’ve timed the Closed Beta access in such a manner that everybody gets as equal a swing as possible, given the circumstances. 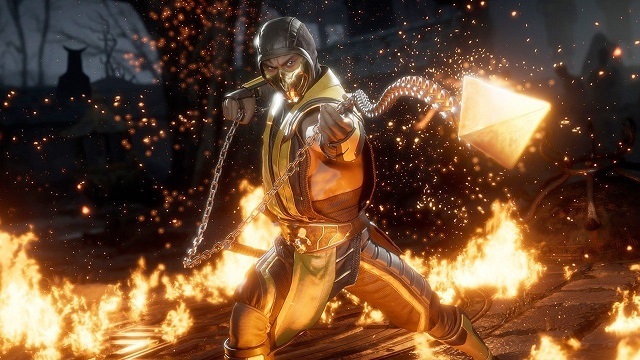 Mortal Kombat 11, as a fill game, is coming out on April 23rd. You’ll be able to play it on PlayStation 4, PC, Nintendo Switch, and Xbox One.